Am I the only person on earth (the far reaches of Bhutan not counted) who hasn’t seen Les Miserables? My love for most things Gallic is well and truly on the record. But, I mean, I WANT to, but the whole “Anne Hathaway is Annoying” business kind of gets in the way. So instead of watching Anne sobbing on screen, I decided to have my own little French Revolution this weekend in the most unlikely of places – Muscat, Oman. It’s one of my favorite places in the world and has a pretty heavy French influence. There is even an Omani French Museum charting the relationship between the two countries (seems to involve a lot of diplomatic cables and gifts). 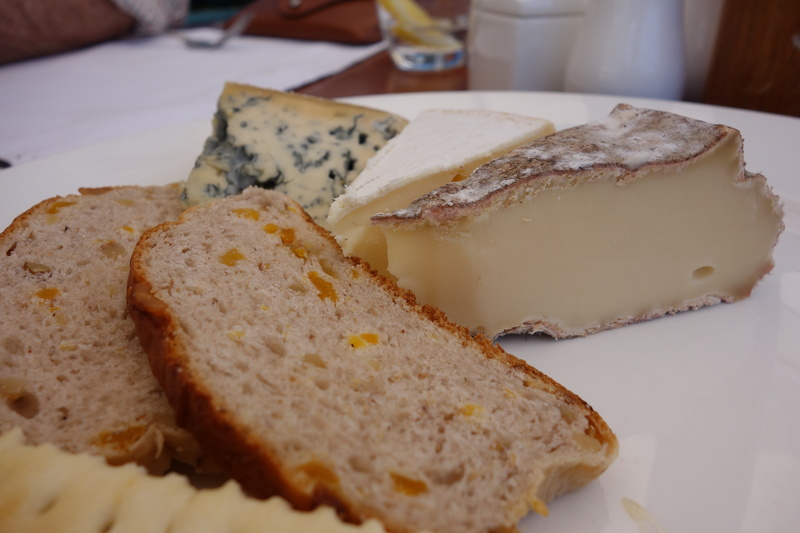 The Grand Hyatt Muscat has a pretty spectacular cheese selection at its Friday buffet. This is where I finally came face to face with Reblochon, that very special French cheese. Reblochon derives from the word ‘reblocher’ which when literally translated means ‘to pinch a cow’s udder again’. This refers to the practice of holding back some of the milk from the first milking. During the 14th century, the landowners would tax the mountain farmers according to the amount of milk their herds produced. The farmers would therefore not fully milk the cows until after the landowner had measured the yield. As they say, blessed are the cheesemakers…they knew how to avoid tax. 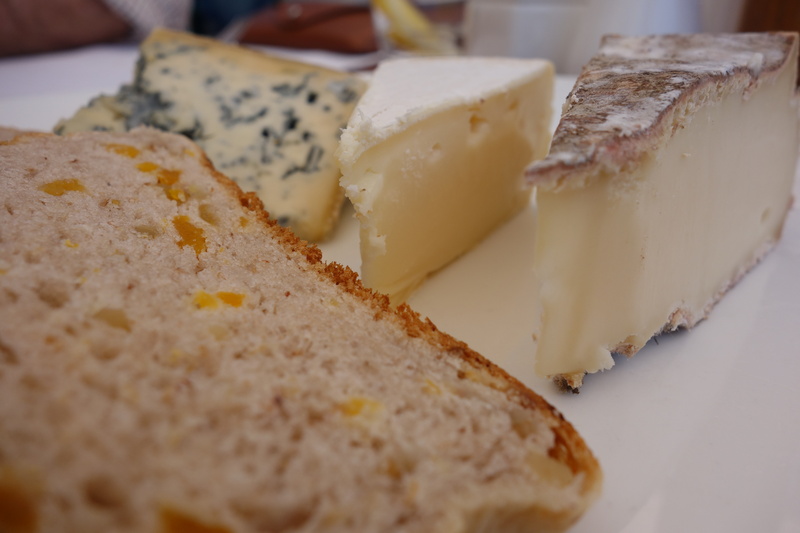 And, it being the Easter season, in the 16th century the cheese also became known as “fromage de dévotion” (devotional cheese) because it was offered to the Carthusian monks of the Thônes Valley by the farmers, in return for having their homesteads blessed. On this adventure, we also tried St Nectare, which I have been searching for. It is the darker rind cheese on the right. Apparently a favorite of Louis XIV, the rougher texture around the outside means this one was made on a farm. Hailing from the Auvergne region, more than 6000 tonnes of this baby are produced each year. Its production dates from the 17th century and is a cow’s milk cheese.This dense cheese has a silky texture with soft acidity, and its taste is similar to that of Reblochon, with hints of hazelnut and mushrooms, due to the aromatic flora where the cheese ages.Apparently. I just think it tasted great. So endeth my Franco worship for the day. Devil Wears Prada is on. Oh wait, Anne Hathaway cried in that too. Sigh. I love reblochon. Have you made tartiflette with it??? To die for!!! Not yet but I plan to this week. Cheese and potatoes? What’s not to love? Reblochon is one of my all time favourite cheeses. It is simply the best with some fresh French bread. Nice write up.